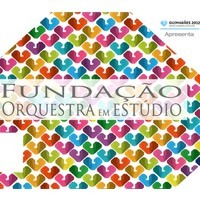 Carlos Piçarra Alves as Associate Principal Clarinet at the Orchestra Sinfónica do Porto Casa da Música, Professor and a Member of the Scientific Council of Escola Superior de Música e Artes Aplicadas de Castelo Branco. He was a Guest Artis at the Arizona State University (US) in 2009 and 2010. He has also taught at Universidade Católica Portuguesa, Escola Superior de Música de Lisboa, Escola Superior de Música do Porto, Conservatório Regional de Música de Castelo Branco, Conservatório de Música de Coimbra, Escola Profissional de Música da Covilhã, and Escola Profissional de Música do Porto. In 2012 the Public Examinations jury unanimously granted him the Título de Especialista em Clarinete (Title of Clarinet Specialist). He finished his Bachelor’s Degree and DESE (Diploma in Superior and Specialized Studies) at ESMAE with Professor António Saiote and received the Prix de Perfectionement from the Conservatoire de Versailles (Versailles Conservatory) in the class of Professor Phillipe Cuper, premier soloist with the Paris Opera Orchestra. He participated in master classes with Walter Boykens, Guy Deplus, Philipe Cuper, Guy Dangain, Michel Arringhon, Michel Collins, and Paul Mayer. He was the Artistic Director of Festival Internacional de Música de Paços de Brandão (Paços de Brandão International Music Festival) from 2009 to 2012. In 2013, he was appointed Jury of the music department of Direcção Geral das Artes. He won some of the most prestigious national competitions, such as Prémio Jovens Músicos (Young Musicians Award), Prémio Juventude Musical Portuguesa (Portuguese Musical Youth Award) and Concurso do Festival Internacional Costa Verde (Costa Verde International Festival Competition). He was a semi-finalist in the International Competition in Rome and won the Aurelian Octav Popa Competition in Romania. Carlos Alves Piçarra is a recognized soloist and a chamber music artist, and his expanding international activity includes performances in countries such as the US, Russia, Germany, Austria, Netherlands, Norway, France, Italy, Spain, Belgium, Luxembourg, Romania, Macau, Brazil, etc. He is a renowned concert artist who performs regularly in the most prestigious concert halls in Portugal. In the Master Pieces Cycle at Guimarães 2012 – European Capital of Culture, he was invited to be the soloist in the world premiere of Mário Laginha’s Concert for Clarinet and Orchestra. He integrated the European Union Youth Orchestra and collaborated with Orquestra Gulbenkian and Regie Sinfonia, in Porto. 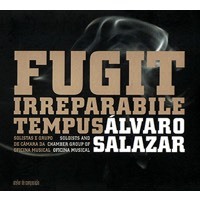 He was a soloist for Orquestra Clássica do Porto, Orquestra Sinfónica Portuguesa, Orquestra Clássica da Madeira, Orquestra Nacional do Porto, Orquestra de Câmara Portuguesa, Constanta Symphony Orchestra, in Romania, and J.Futura Orchestra in Italy. His discography includes Mozart’s Concerto for Clarinet and Orchestra with conductor Rui Massena and Orquestra Clássica da Madeira, for EMI Classics and the Integral II for Solo Clarinet by João Pedro Oliveira at the invitation of the composer himself. 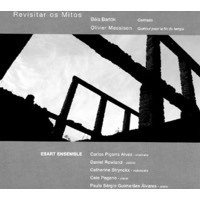 He recorded a CD with Caio Pagano, Daniel Rowland, Caterine Stryncx and Paulo Álvarez with works by Olivier Messiaen (Quartet for the End of Time) and Béla Bartok (Contrasts) for Numérica. 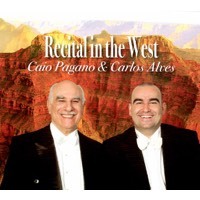 In his CD recorded in the US with the renowned pianist Caio Pagano – Recital in the West (2010) –, the American press found the best interpretation of Brahms First Sonata. 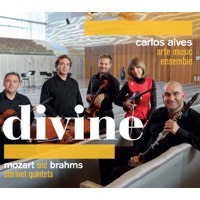 “… the single best performance of the first Brahms Clarinet Sonata I’ve ever heard: that means it is not only musically expressive, phrased with sensitivity and intelligence, but also that Carlos Alves gives his clarinet a beautiful, rounded, plummy tone.” (Arizona Republic, July 2010). He is a founding member of Ensemble Artclac together with accordionist Paulo Jorge Ferreira. 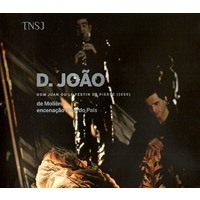 Carlos Alves has also experienced the world of theatre, performing live at Jacinto Lucas Pires’ Figurantes and Molière’s Don Juan, both staged by Ricardo Pais, at Teatro Nacional de S. João. He also participated in Sombras with notorious artists like Mário Laginha, Ricardo Pais and Paulo Ribeiro, among others. This particular play was on tour in Lisbon, Porto, Viseu, Guimarães, Azores, Paris, São Paulo and Santos, and is also scheduled for Rio de Janeiro and Moscow. 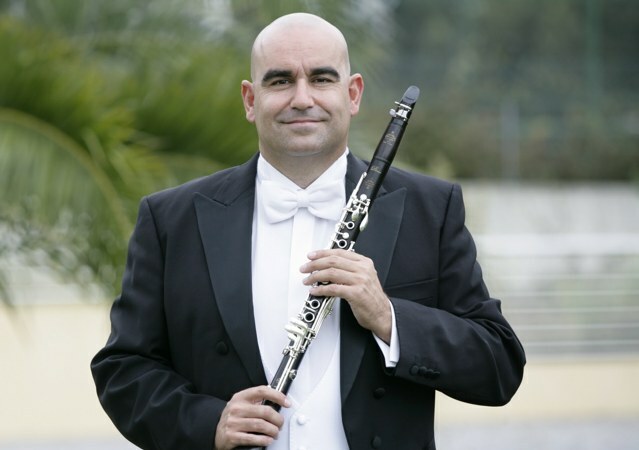 Carlos Piçarra Alves is a Buffet Crampon artist and is considered to be one of the great clarinetists of his generation. 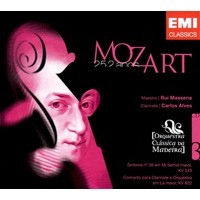 Mozart and Brahms clarinet quintets.